A bedrail with more than one use? It’s Tambino! Bedrails are usually unattractive and fulfil no purpose other than, well, being a bedrail. Think again! Just look at this deliciousness from Tambino. 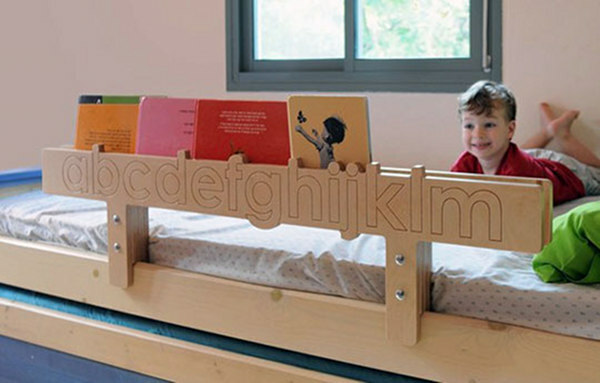 Not only is it an undeniably gorgeous bedrail, it’s useful for holding those bedtime books. This is an ingenious idea and we’re surprised this corner of the market hasn’t been tapped before. There are a choice of models including a surprisingly chic soccer-themed rail (pretty but not quite as useful) plus flowerpots and a delightful Noah’s Ark. 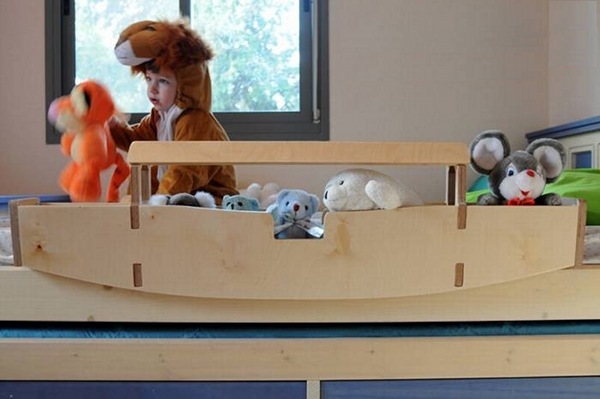 Designed by Jessica Cohen, an expat American living in Tel Aviv, the prices are astonishingly reasonable at just US$68 for the Flowerpots rail, US$105 for the Alpha-Bookshelf and US$135 for Noah’s Ark. 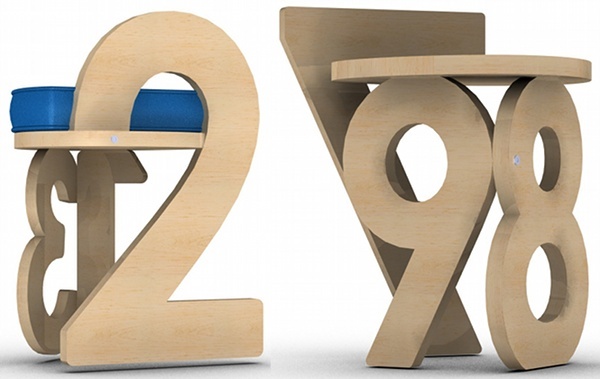 Also available are beautiful number stools which start at only US$35! Jessica creates pieces which reflect the sometimes ‘non-linear, non-continuous’ thought processes of young children. I sure can see the appeal of that after the day I’ve just had trying to work out what my boys are on about! Buy through the Tambino Etsy shop – message about shipping to Australia.